In the works of his later years, Cézanne would often leave substantial portions of the canvas exposed. This is evident in his landscapes, a handful of which are housed in the National Gallery. “Nature is on the inside,” he would say. The painter’s task is to trace the coming-to-itself of the visible – the way in which the mountain makes itself seen by the painter. The painter does not produce simply another thing: his achievement consists in unfolding the carnal essence of the thing – a visible to the second power, as it were. 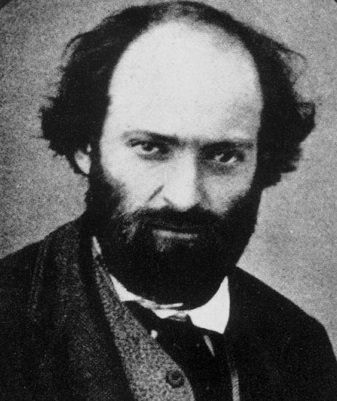 Perhaps it is this above all else that makes him the indispensible painter for our times, this era of so-called ‘post-truth.’ For Cézanne “painting was truth telling or it was nothing.” That is what it meant to paint from nature, to be primitive, to be free from all affectation, to be like those “first men who engraved their dreams of the hunt on the vaults of caves…” This is why we need to look and look again at Cézanne. And it is perhaps best that he has come to the National Gallery, to D.C., but a stone’s throw away from where truth is daily made a mockery of, and lies are proffered with breathtaking ease.